Angola is a country situated in Southern Africa. The economy of Angola is one of the fastest-growing economies in the world . Since the end of the civil war, Angola government has made great strides in order to stabilize the country's economy. Angola has developed trade relations and development co-operation with regional as well as global partners. Owing to the favorable international trade environment, Angola export figures have almost increased threefold in the period 2006-2009. The liberalization of the economy has allowed Angola trade profile to attract significant foreign investment, primarily in the mining sector. Petroleum products dominate in Angola export trade market. China has promised considerable assistance to Angola, one of its main oil suppliers. Angola diamonds industry is another significant contributor. Petroleum and diamond industry constitute more than 80% of the total export value. Angola exports products mainly to China, France, the USA and EU. Almost all oil export from Angola goes to the USA. Other major export products are: coffee, sisal, cotton, lumber, fish. 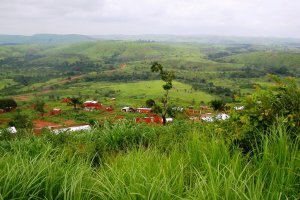 U.S. companies account for more than half the investment in Angola. Doing business in Angola can be challenging and foreign businesses need to do their homework before entering the market. The U.S. exports industrial goods, mainly oilfield equipment, mining equipment, chemicals, aircraft, and food to Angola, while principally importing petroleum. Trade on Export Portal, find business partners, suppliers and customers in Angola! Since the colonial period, Portugal has remained the main trade import partner of Angola (18% of total imports). Angola imports textile products, food, vehicles, and spare parts, machinery and electrical equipment, medicines and military goods. Other leading import partners include such countries as South Africa, the USA, the UK, France, Brazil, South Korea and China. At the time that the Angolan economy is emerging, there is a continuous increase in imports. On the other hand, with exports exceeding the import value, the country has a favorable balance of payment. As a part of the least developed countries, Angola takes advantage of duty-free preferential agreements by EU and the US. After WTO accession, Angola has molded its fiscal policy to incorporate international standards. The country is trying to adjust custom tariffs as per GATT 1994 structure. Are you an exporter, manufacturer, wholesaler or supplier based in Angola? Use Export Portal to list your goods from Angola and find importers around the world. Export Portal - an international import export source for trade leads, import export leads, b2b marketing and directory. Angola has considerably liberalized its trade scheme in the last recent years. The country is a member of SADC (Southern Africa Development Community) and ECCAS (Economy Community of Central African States). Custom duties are relatively low, between 5% to 10%. Angola’s longer term aim is to become an important hub for Southern Africa along with exporting goods on a large scale. All imports are subject to the consumption tax (imposto de consume) or value added tax (VAT), which ranges from 2-30 percent, applied on the c.i.f. value plus duty. Additional fees collected at port include clearing costs (2 percent of declared value), revenue stamp (0.5 percent), port charges ($500/20 foot container or $850/40 foot container), and port storage fees (free for the first 15 days, then $20/20 foot container or $40/40 foot container). The import of certain products, such as pharmaceuticals and agricultural products, still requires authorizations from the concerned official ministries. Angola has also adopted the SADC guidelines in the subject of biotechnology, which ban the import of genetically modified crops. The government is trying to develop the agricultural sector (Angola is the world's fourth largest coffee exporter) in order to reduce imports and increase exports. Since 1 January 2012, stamp duty is levied at a standard rate of 1% (previously 0.5%) applied over the custom value of the imported goods. Consumption tax is levied at a general rate of 10%. Some imports may be subject to a reduced rate of 2% (such as, domestic supplies) or to the maximum rate of 30% (such as luxury goods). Generally, exports are not subject to customs duties. Some exports are subject to customs duties at an ad valorem tariff with rates that vary between 10% and 20%, according to the product classification. Since 1 January 2012, exports are no longer subject to stamp duty. The incorporation/registration of a company/branch starts with the application for recognition of the foreign investor status. ANIP is the entity responsible for approval and recognition of the status of foreign investors, through the issue of the investment certificate. For its approval, investors should provide ANIP with a set of documents that indicate the purposes of setting up the operation in Angola.When the investment Project is approved by ANIP several procedures must be followed such as: issuance of License to Import Capital (LIC), opening bank account, importation of funds, deposit of the articles of association / public deed of incorporation, commercial, tax and statistical registrations and licensing of activity. INADEC is a government institution created with the purpose to protect the consumer. One of their main objectives is to ensure that products are labelled with the right information that the consumer must be aware of and packed in accordance with international health and safety law. Exporting a standard container of goods requires 10 documents, takes about 40 days and costs $2060. Importing the same container of goods requires 9 documents, takes 43 days and costs about $2725. 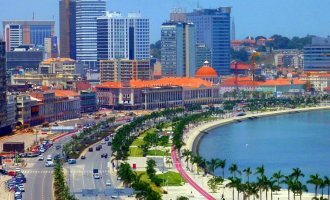 Angola increased documentation requirements for crossborder trade by introducing a mandatory registration for all traders and a new license for export and import transactions. Documents required for import or export: bill of lading, certificate of origin, commercial invoice, customs export declaration, inspection report, packing list, SICOEX export licence, tax certificate, tax certificate, technical standard/health certificate, terminal handling receipts, clean inspection report of findings.